I don’t often write about my father on my blog, unfairly so, because I am, and I think you can say this at 44 years of age, as much my father’s daughter as I am a replica of my mother. Our real shared love is for the Australian high country, a special sort of bond built over years of camping and walking; of long drives through the mountains with stops at roadside lookouts where he would point out the big ones; Mt Kosciousko, Mt Townsend, and his favourite, Jagungal. I would always try and remember the distinctive shape of each of the mountains and Dad would beam and call me ‘Mighty’. The other name he gave me is Kiandra, for the abandoned town in the middle of the mountains where European settlers first skied in Australia, from the Aboriginal name Giandarra. My father has a special way of connecting with people. At Jamieson, a tiny old gold town wedged into the mountains between central Victoria and Gippsland, he is friends with everyone. He has a beer or two at the pub and stops at the post office to chat. Last time he came to Italy he wrote five postcards the post-mistress – never mind that she probably couldn’t read a word of his latin manuscript handwriting – it was the thought that counted. His other favourite is Naomie, who makes and sells the wonderful preserves that fill the Pennygreen pantry; jar after jar of raspberry and blackberry jam and seville orange marmalade. 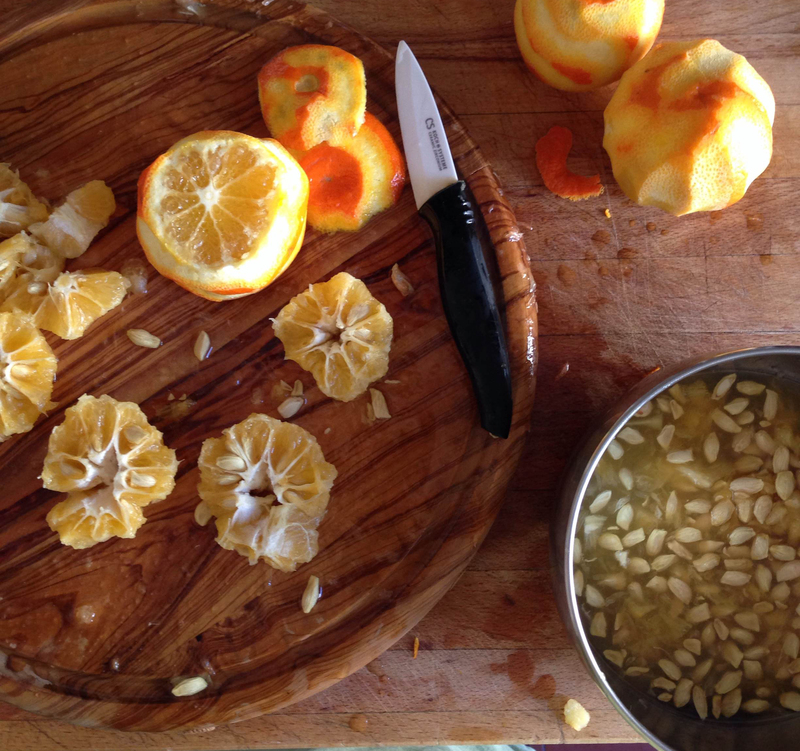 Until a few weeks ago I had never made marmalade. I make jam every summer, with foraged fruit from Lubriano and cartons of squashy peaches and plums from Luigina. But jam making is a simple process, requiring little skill and leaving ample margin for less sugar or a mix of fruits. Marmalade, which in English refers strictly to the citrus variety, as apposed to Italian where Marmellata refers to the whole gamma of conserves, is a much more detailed and scientific procedure. And not all citrus conserves are equal – the English, or Scottish – version being a fine translucent affair with beautiful strips of fine peel amongst a runny sweet and bitter at the same time conserve, while Italian orange marmellata is often an opaque mush of fruit cooked with sugar. That said, as Nigel Slater wrote in the preface to his marmalade recipe for the Guardian, there must be hundreds of recipes out there, but it is the method that changes, not the ingredients. 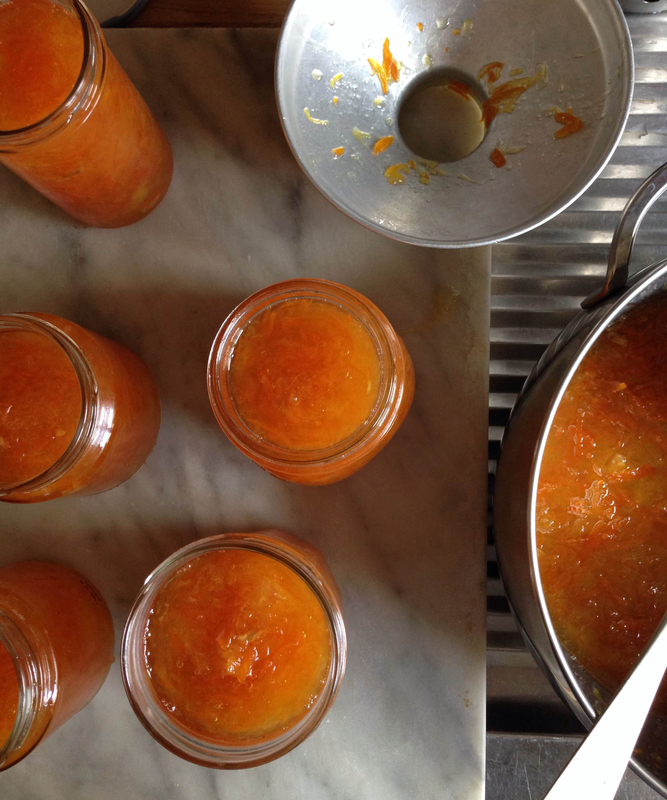 Two weeks ago I went to a Marmalade making workshop in the delightful kitchen of Dafne Chanez’s Casa del Cibo located amongst the old villas of Monteverde. The fruit we worked with had been picked as part of the Frutta Urbana project which collects the ripe fruit from the trees around Roman parks and streetscapes. Many of the ornamental oranges around the city are bitter seville oranges, the same ones that filled the hold of the Spanish ship that was supposedly damaged near Dundee in Scotland in the 1700’s which led to the creation of Seville Orange Marmalade. This is just one of the food legends that surounds real orange marmalade, another involves a boat stranded near London, but in any case the recipe used by Daphne is for authentic British style Marmalade. She also reminds marmalade makers to remember the butter in enjoying a fine slice of toasted bread with a smear of marmalade. I would add that it needs to be salted. 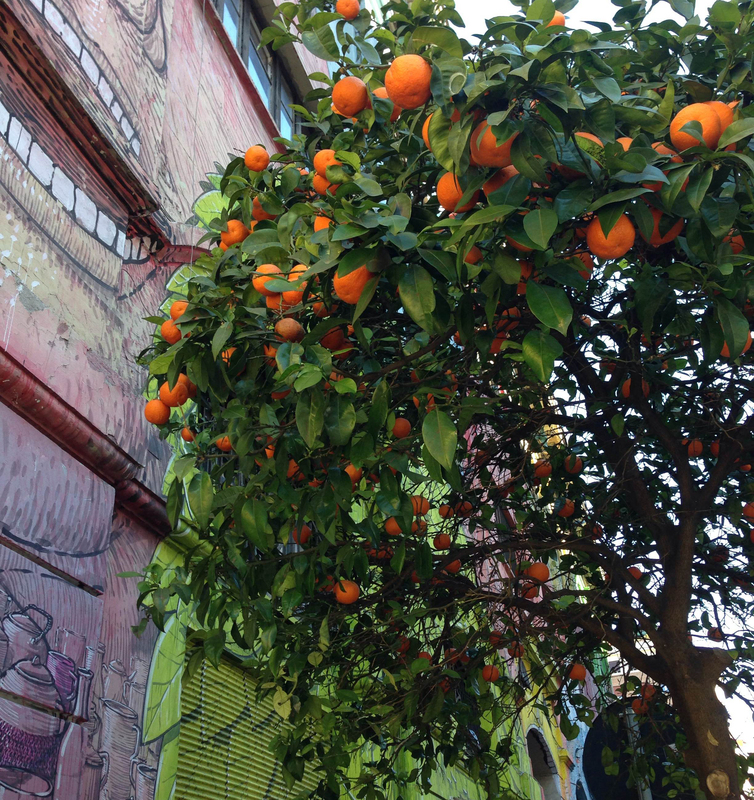 To find out more about Frutta Urbana and where to pick oranges around Rome click here. I picked mine in Via del Porto Fluviale near Via Ostiense, using a child’s fishing net and in front of some of Rome’s best street art. Yes, I did get some strange looks, but I also bagged 20 odd bitter oranges. 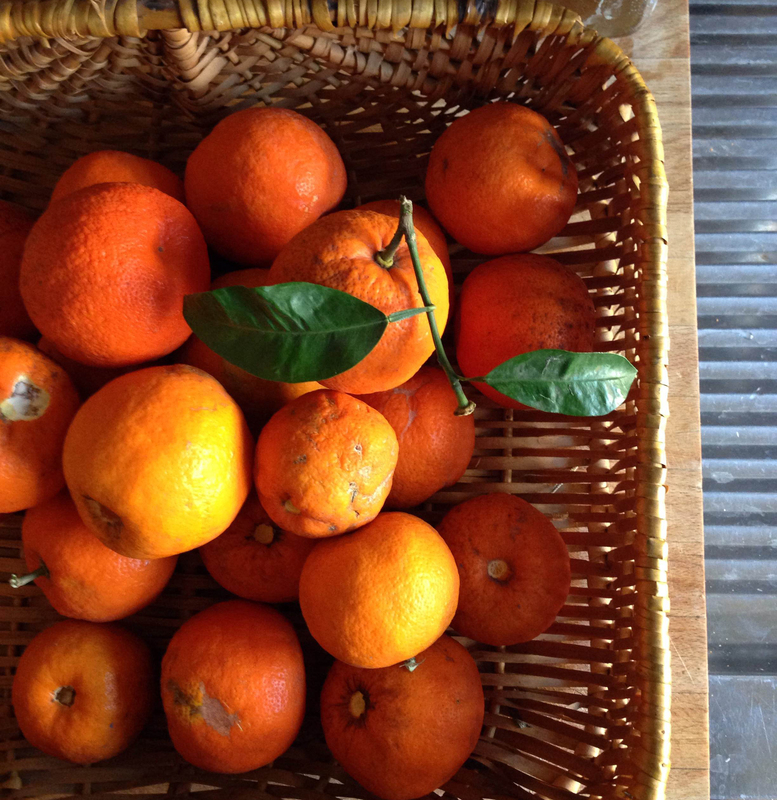 The amazing thing, and this has been tested by Frutta Urbana, is that oranges don’t absorb the city’s pollution. The fruit has its own natural defense system and chemical testing rates the fruit as organic. Of course they need a pretty good scrub. This recipe is from Daphne Chanez at the Casa del Cibo. The whole process takes about 3 hours, less if you have another pair of hands or if you are not prone to distraction. Sharp knives are essential. 1. Wash the oranges well. If they are urban fruit this means giving them a good scrub and possibly throwing in a teaspoon or two of bicarb. Water will be like kids’ bath water. 2. Peel the oranges making sure not to grab too much of the white with each peel. 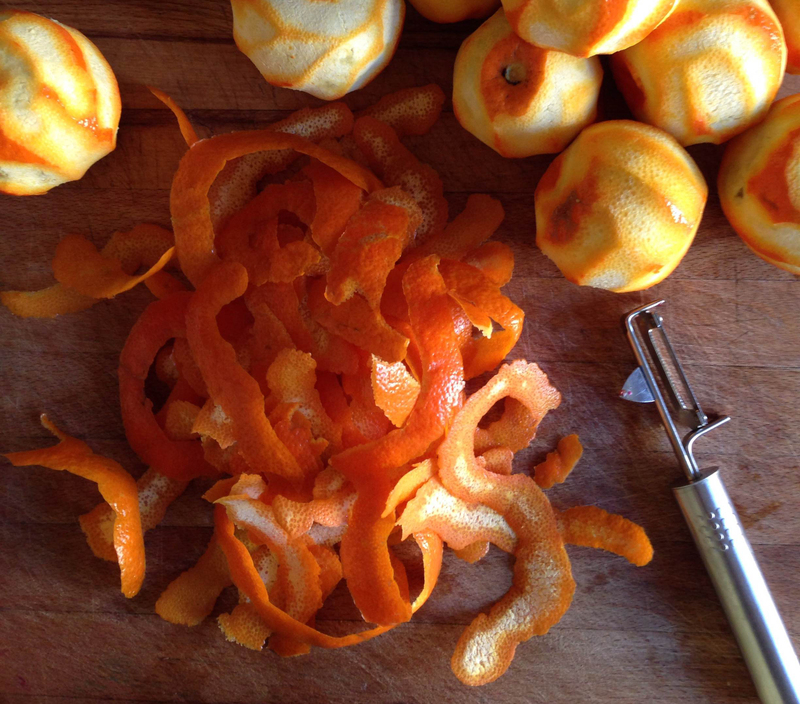 Finely slice the peel – or cut it more roughly if you like a chunkier look. 3. Place the slices peel in a saucepan, cover with cold water and bring to the boil. Lower the flame and cook for about 30 mins. Drain liquid and set peel aside. 4. For the next stage – which is by far the most painstaking, a chopping board with a good groove to collect the juice is required. Cut the white part from the whole oranges as if you were preparing a fruit salad. Toss the skins. Cut the oranges in half and remove the pips, placing them in a small saucepan along with the juice as it is collected. The remaining flesh, which will be a bit worse for wear after having removed the pips, needs to be cut with a sharp knife into roughly 2cm cubes. Remove any nasty tough pithy pits and collect flesh in a large bowl. 4. Once you have all the flesh cut you can add the boiled rind strips to the bowl. Measure the contents of the bowl, and this will give you a guide for the quantity of sugar. This recipe calls for 50% fruit (flesh and peel), 50% sugar, so if you have 1kg of fruit mix you will need 1kg of sugar. 5. Place the saucepan of pips and juice on a medium flame and bring to the boil. Lower flame and cook for another 10 mins. Cooking the pips and the juice allows the pectin – which is the all important setting agent for jams and jellies – to develop. After cooking you will have a thick browny orange syrupy liquid which needs to be pushed through a fine sieve or hung and then squeezed through muslin. Some marmalade recipes tell you to tie the pips in a muslin bag and let them cook with the mixture. I liked Daphne’s method because if you have a great amount of pectin you can conserve or freeze some for future jam making. Set drained syrup aside. 6. Over a moderately high flame place the rind and flesh mixture in a good preserving saucepan and cook for 5 minutes, then lower the flame and cook for a further 20 mins. Make sure the mixture doesn’t catch. 7. Add the sugar, half a vanilla pod with a slip down the side and the pectin syrup and cook for a further 20 minutes over a low flame. Stir regularly and make sure the mixture doesn’t catch. The mixture should thicken but still have a runniness to it. The color should be a beautiful translucent orange. If the mixture seems to runny keep cooking for another 5 – 10 minutes but stand by – I have first hand experience that jam and marmalade can overcook or burn easily in the final stages. 8. My mother’s setting test (she had to make it in here somewhere) is letting the marmalade drop from a wooden spoon onto a small plate to see how it has jelled. Once happy with the consistency use a funnel and ladle the marmalade into sterilized jars with new lids. Close accurately and leave them upside down until they have cooled completely. Don’t worry Nathalie – it’s coming…..